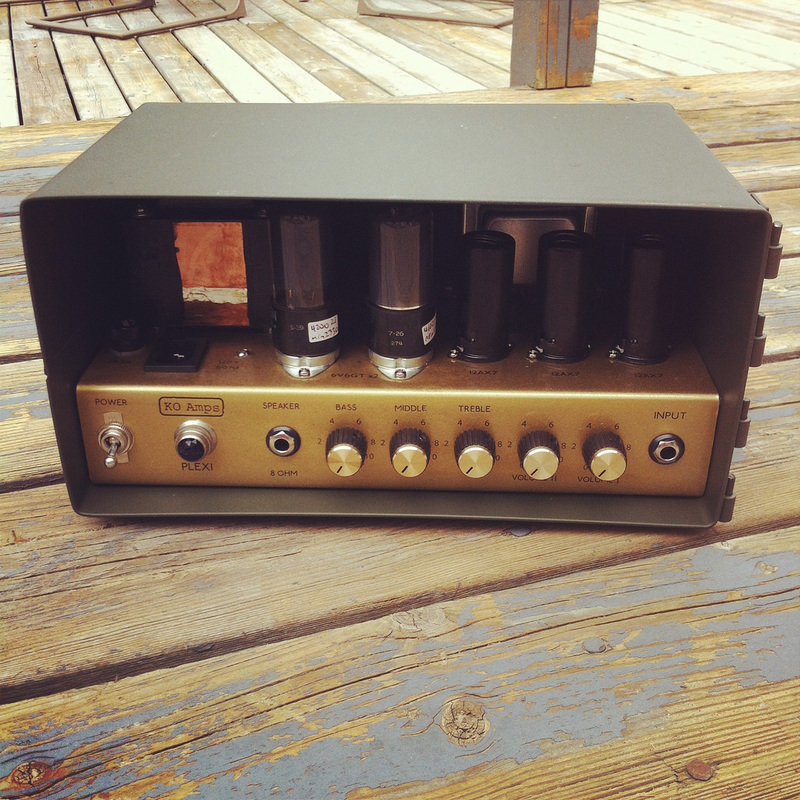 6v6 powered JCM800 based circuit in a cool vintage ammo can for a manageable 20 watts of power. Loosely based on a model 2203 JCM800 with a few tweaks. High and low gain channels with modified tone stack and gain stages for more chunk with the same Marshall bite. Runs a pair of 6v6 tubes in fixed bias with 3x 12ax7 preamp tubes. 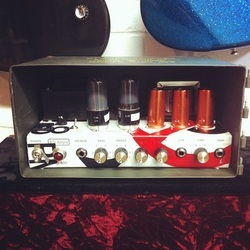 Full bass, middle, treble, volume and gain controls. 8 or 16 ohm speaker out. Chassis is super thick aluminum made from an old 'no parking' street sign. Complete with the standard KO Amps magic tweaks for optimal performance. ​$1000CAD shipped and paypalled anywhere in the US or Canada. Email to order directly.